not many do usb-c and 3.5mm correct me if I am wrong on that, the ones that do pretty much make the 3.5 plug into the usb for charging etc so cannot use both same time which to me was always "well that is stupid"
It obviously isn't competitive with the top S10 (and now 6 month old iPhones), but that's just LG and most people are buying them because they tend to be cheaper than those (and quickly drop in price). Or they value not dealing with some glaring thing they don't like about Samsung's (or Google's) phones (Bixby and used to be TouchWiz on the former, lack of microSD and headphone jack on the latter). 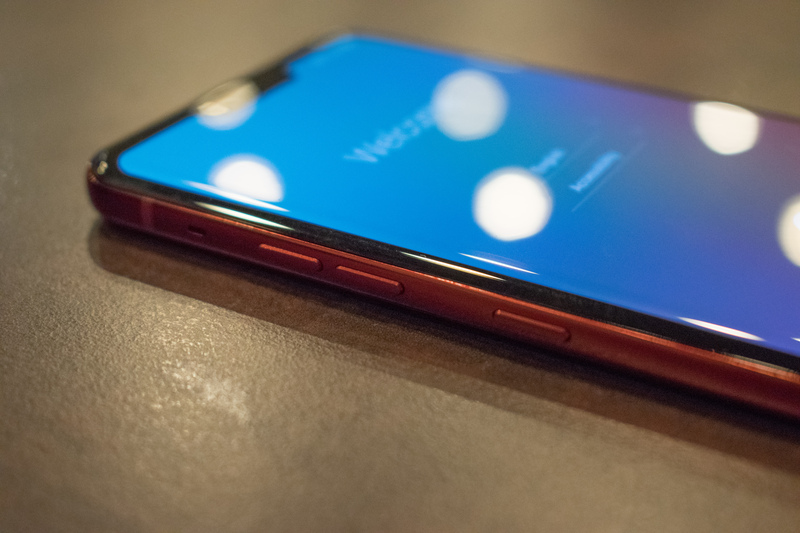 I'd personally consider this, but will depend on price and if there's any glaring faults (which is true there seems to almost always be one on LG's phones and it changes each year so its not just the same "Bixby/TouchWiz" type of complaints, its because the OLED panel isn't good quality, or bootloop, or camera that is wonky in quality, or...). Yes there's some silly gimmick stuff that people either like or don't care about (like second screen, or modules, or the in depth custom camera modes), this year its the "blood vessel unlock" and gestures (which not sure why there's a fuss being made about that as others have tried that before and people just don't seem to care). 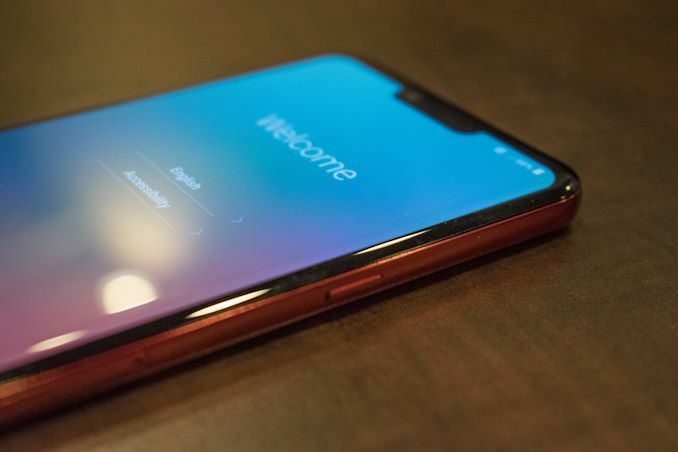 But, if the display is decent quality (it doesn't have to be top of the line for me personally, but definitely can't be outright bad like the V30/Pixel 2 XL's displays), the cameras are decent (being able to use Google's camera app, and especially Night Sight feature can make the default LG processing less of an issue), performance is fine (including battery life), I'd consider it for the right price as I value the quality headphone jack audio (but I can get that via DAC cables for other phones). I'd wait for the 3 camera one though as I'd like to see how well telephoto would work (will be passing on the V50 because I have a hunch the 5G will actually be a liability for battery life, and I'm not gonna pony up for 5G service anyway so don't care about that feature at all right now). I'm on Fi and recently traded in my OG Pixel for a V35 which came with a Fi credit. In my case, it's actually a pretty darn nice phone. OLED screen, good performance, decent battery life, notchless, 3.5mm headphone jack, I've been pretty pleased and based on my preferences LG delivers at a reasonable price. I even made it look like a stock Android experience and so it's pretty close aesthetically to my experience with the Pixel. 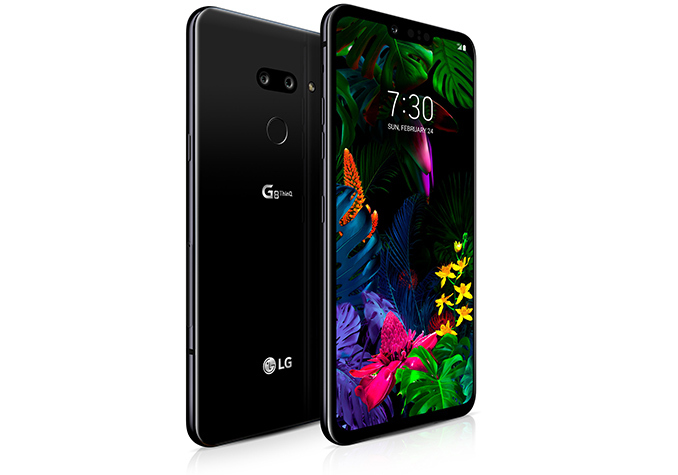 Been using LG G7 ThinQ as a work phone for the last 9-ish month, I'd consider G8 for my personal phone. G7 has been doing exceptionally well and fully covers my needs... and was significantly cheaper than Galaxy S9. AND was bundled with Momentum 2 headphones for that already reasonable price. I live in NZ, and my phone has received only 2 security patches, both within first 2 or 3 months. Last security patch is from September 2018 and was received in October 2018. Since then - nothing. At all. I have been checking OTA updates and also from the LG PC app, both keep telling me I am running the latest software. There are updates for G7 all the way to January 2019... but are not applicable to NZ phones/carriers (I would expect that Australian users are in the same bucket). I have contacted LG support in NZ and AU and got generic reply (both times) that it is all Google's fault for not releasing updates for this phone. Sounds like LG support doesn't even know how updating Android phones work. My attempts to continue conversation were completely ignored in both cases. It was pretty much "we told you what we had to tell you, now bugger off". I am actually planning to send these replies to Google (anyone knows applicable email address, let me know). To my understanding, Google has introduced new rules re the phones updates, and it looks like LG is breaking them left and right - at least in this geography. Pie has also been promised in Q1 2019, and while it has been released in Korea - maybe elsewhere - neither LG AU nor LG NZ could provide any info when is Pie planned for G7 in this part of the world, if at all. And yet this is one of LGs flagships for 2018. Yes I like DAC and 3.5mm jack - Momentum sounds really good on it. I like super-bright screen, even if it is not OLED - really good for outdoors. I like dual SIM/storage expandability, and other basics are there - waterproof, wireless charging. I liek wide angle camera - all my actual cameras' lenses don't go under 24mm, so wide on this phone is my last resort camera to fit whole object into slide (I shoot a lot of architecture when I travel), even if only daylights. I like flat screen which does not compromise protection cases, unlike curved Galaxy screens. Phone isn't flashy but is elegant in understated way, which is my cup of tea. A very interesting post for those interested in G7/G8 and not living in Sth Korea, thanks. A counterpoint though - I chose Xperia XZ1 over G7 last year, and have been getting regular updates as hoped. With Pie this has turned out to be a double-edged sword. The clock has moved to the left for no reason, Sony hasn't implemented any gesture navigation, and worst of all the ADB hack to enable Night Light is now disabled. Night Light was the only way I could get a half-reasonable white balance on my display - otherwise no setting would bring it below about 7500K. I am now considering a new phone, despite everything else working well. I am not that worried about still having Android 8 on the phone. After all, I have been using desktop OSes longer than 3 years on average - can't justify drama because my phone isn't getting new OS every year. For expected life of product, staying on same OS is not such a big deal - for me. As long as it is reliable release. Which, must say, G7 seems to have - at least I didn't have any issues, save for notifications (including ringer and alarms) being moved twice (in 9 months) from loudspeaker to earpiece, resulting in almost inaudible sound - but I think this was caused by an app (or combination of apps running at the same time), rather than OS or hardware itself. But not getting security patches for that very same OS, that is just bad. Actually, LG has released them for other parts of the world - latest one should be January 2019. There was at least one more before the one I have received. December 2018, I think. I was thinking that, maybe, NZ networks are to be blamed... but I have tried to update phone from desktop app, good old USB cable instead of OTA, and app has told me that there are no new updates available. So it looks like someone at LG just couldn't be bothered to approve update for this part of the world. NZ is small country, so it is unlikely that we have different version of the phone in any meaningful way - something that would require serious customization for these updates. If nothing else, we should be getting Australian version, we usually do - whether that one is unique or same as Korean or EU or any other version, can't tell. On top of that, I am finding LG supports' reply a bit insulting; I'm definitely having issue with that. First, it is a lie. Second, it seems to be counting on phone users being clueless. Third, once I have kindly pointed out that their info doesn't seem to be correct - they have simply disappeared.